Terma Triga designer electric radiators blend a minimalist, contemporary aesthetic with smart Bluetooth control, providing a stylish and functional heating system for a range of spaces. Using a smart thermostat, these designer radiators allow you conveniently manage your heating from an iOS or Android device, making it easier and quicker to set a heating schedule or turn your radiators on and off. 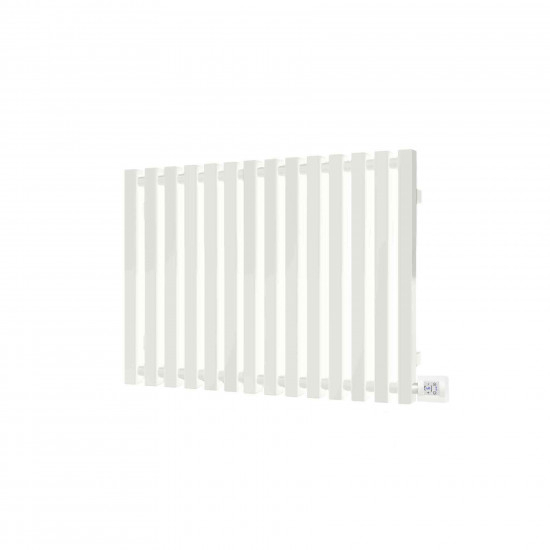 Terma Triga Designer Electric Radiators blend unique heater design with advanced controls, providing a stylish and functional heating system. These horizontal versions of the Triga are finished in white, with anthracite and vertical versions also available.